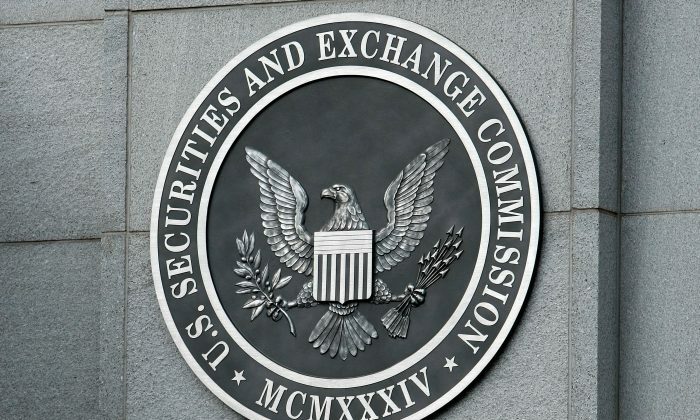 A libertarian think tank is suing the U.S. Securities and Exchange Commission (SEC) over the agency’s policy of placing lifetime gag orders on defendants who settle civil enforcement cases. The Cato Institute, based in Washington, says the policy serves to silence potential critics of the SEC’s vast civil enforcement powers, thereby violating First Amendment protections of free speech and a free press. The policy is particularly problematic, the group says, when as a condition of accepting any civil settlement proposal as a means of avoiding trial, the mandatory perpetual gag orders can also mask agency wrongdoing. “In effect, the government uses its extraordinary leverage in civil litigation to extract from settling defendants a promise to never tell their side of the story, no matter how outrageous the government’s conduct may have been and no matter how strong the public’s interest may be in knowing how the government conducts itself in high-stakes civil litigation,” Cato’s lawsuit states. According to federal court documents, the SEC settlement rate has held steady at 98 percent since 2002. The provision is also standard procedure for civil settlements imposed by the Commodities Futures Trading Commission and the Consumer Financial Protection Bureau, among other federal regulatory agencies. Gag orders are intended to prevent interested parties from sharing detailed knowledge of how regulators and prosecutors use their enforcement capabilities. But critics allege the silencing provisions have gone too far. In addition to the Cato lawsuit, the New Civil Liberties Alliance filed a strongly worded 40-page petition with the SEC in October seeking to substantially amend the agency’s gag regulation. “The Gag Rule is unconstitutional, unauthorized, unjustified, and operates to shield the government from criticism and reform, contrary to the First Amendment’s guarantees of freedom of speech, of the press and of the right of petition,” the group asserts. Notably, Tesla billionaire Elon Musk was targeted by the SEC over alleged misleading tweets in September. A settlement agreement was reached in just two days. “Under its terms, Musk doesn’t admit or deny the allegations in the agency’s lawsuit but will step down as the chairman of Tesla’s board of directors for three years and pay a $20 million fine,” reported Business Insider. The use of so-called “neither admit nor deny” settlements allows the government to impose punishments without actually establishing whether any laws have been broken. Defendants are targeted, and admit to no specific illicit conduct—or, “neither admit nor deny” any SEC allegations. Defendants typically pay large fines, among other penalties, but can never talk about their cases publicly. Sen. Tom Cotton, (R-Ark. ), confronted SEC chairman Jay Clayton about such practices during a Senate Banking Committee hearing on Dec. 11. “It’s not the right approach in every matter,” Clayton conceded. The Cato Institute’s ambitious suit not only seeks to strike down the agency’s gag rule, but all perpetual gag orders in all existing civil settlements across every federal agency. Cato is represented by the Institute for Justice, a public interest law firm. Their legal complaint hinges on the inability of the think tank to publish a memoir said to illuminate the SEC’s coercive settlement practices. According to court documents, a reputable professor introduced a businessman to Cato Institute researchers on the grounds that he experienced an aggressive civil enforcement action. The businessman cannot identify himself in connection with the case, or speak publicly about it, and the Cato Institute would be in violation of federal law if it published the memoir—which it wants to do. The memoir purportedly explains in detail how the SEC and Department of Justice prosecutors worked in tandem to allegedly target the businessman after the 2008 financial crisis. Court documents say he was accused of operating a Ponzi scheme, although the accusation was disproven during the course of an investigation. The businessman nevertheless settled in what was described as a “meritless” civil action. The businessman also pleaded guilty to a “baseless” DOJ criminal prosecution after being threatened with life in prison if he refused, the lawsuit states. “The SEC’s policy of demanding lifetime gag orders as a condition of settlement flouts the First Amendment and prevents publishers like the Cato Institute from educating the public about the true nature and behavior of government,” Neily said.